Night sweats can drench your sheets and bedding. Excessive sweating at night can have any number of underlying causes that range from menopause to lymphoma. Even certain medications can cause excessive sweating at night. Read more about the possible causes of your drenching night sweat symptoms. Though drenching night sweats are one of the symptoms that may indicate lymphoma, there are other conditions that can also cause intense sweating at night. During menopause, the menstrual cycle ends. Once a woman hasn’t had a period for a year, she is typically considered postmenopausal. Symptoms of menopause, including drenching night sweats, vary in intensity and duration for every woman. Some medications, including antidepressants, aspirin and acetaminophen can cause excessive sweating. Up to 22% of people taking antidepressants report suffering symptoms of drenching night sweats. Night sweats can also be associated with the bacterial infection that causes tuberculosis (TB). Though the rate of TB infection has decreased, the disease is highly infectious and spreads easily. Additional symptoms of TB include unexplained weight loss, a hacking cough, fever and fatigue. If night sweats regularly disrupt your sleep or are accompanied by fever and/or weight loss, you should seek medical attention. 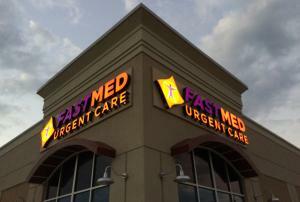 FastMed Urgent Care brings healthcare to your community, with convenient locations that accept most major insurance plans, including Medicaid and Medicare. We understand that the first step in quality care is determining the root cause of the problem. In our in-house labs, our medical professionals can test your blood for possible causes of your drenching night sweats.